Luxury resort residential community expands newest neighborhood in high demand. 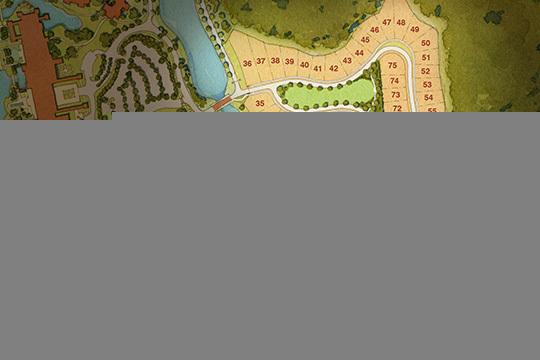 Lake Buena Vista, Fla. (March 20, 2014) – Golden Oak at Walt Disney World Resort today released an additional 56 lots in its newest neighborhood, Marceline. Following the success of the luxury community's first neighborhoods, select homesites in Marceline were initially made available for sale in May of last year, and the announcement of additional homesites comes as considerable interest continues. The neighborhood, named for Walt's Missouri hometown, will showcase quality custom homes nestled on lots of approximately one-quarter acre. Buyers can choose from three prestigious homebuilders to create finished custom homes that draw design and architectural inspiration from European and Caribbean influences and range from 3,800 to over 6,000 square feet. Adding to the year-round resort lifestyle the Golden Oak community has become known for, Marceline residents will enjoy waterfront views, lush natural preserves and sculpted landscapes, not to mention close proximity to Walt Disney World Theme Parks and recreation. Marceline is also home to two dedicated green spaces – Charming Park which features enchanting bronze sculptures of classic Disney characters from Snow White and the Seven Dwarfs (1937) which was Walt Disney's first full-length animated feature and Adriana Park, a quiet respite named for Adriana Caselotti, who provided the voice for Snow White in the film. "We see Golden Oak as more than just a residential community – it's a magical place where generations can come together to create memories and traditions," said Page Pierce, vice president of Disney Resort Real Estate Development. "The expansion of Marceline allows us to welcome new families interested in this unique opportunity to live at Walt Disney World Resort." Homes in the Golden Oak community, including those within Marceline, start at $1.8 million. Beyond the growing Marceline neighborhood, Golden Oak recently opened a restaurant and lounge at Summerhouse, the private residential club facility modeled after a Tuscan farmhouse. Markham's, a full-service dining room and the relaxing Tyler's Lounge make Summerhouse the recreational and social centerpiece of the community. Golden Oak residents can also take advantage of concierge-style services provided by the Golden Oak Resident Services team, as well as the "Disney Connection" which features the Golden Oak Resident Pass, merchandise delivery, golf services, park transportation and more. For more information about Golden Oak, visit www.disneygoldenoak.com or call (407) 939-5593. Golden Oak brings together family, friends, and cherished Disney traditions in a unique, luxury residential resort community of single-family custom homes with prices starting at $1.8 million. To live at Golden Oak is to enjoy a year-round resort lifestyle that includes distinctive neighborhoods, expansive nature preserves, and an unsurpassed array of amenities and concierge-style resident services. The community's resort and recreation options include a private clubhouse and, scheduled to open summer 2014, Four Seasons Resort Orlando at Walt Disney World Resort and a championship golf course.